People send and receive up to 200 emails per day on average (Radicati). A staggering fact, you have to admit. However, not all of those emails get through to the recipients. Some are left unread, and some don’t even pass the email filters and end up buried in the junk folder. Still, email marketing has consistently been a number one strategy for many online businesses. It’s the strategy that generates the highest ROI and thus the one businesses are most likely to turn to. They create campaigns hoping to reach the readers, but a large percentage of them never does, which is why it’s helpful to have these tips in mind. The first and perhaps one of the most important prerequisites for an effective email marketing campaign is a quality mailing list. You have to address the people who are genuinely interested in what you have to say. The process of creating a quality mailing list starts with successful lead generation. To attract quality leads, you’ll need quality content to share online. Through this process, you generate potential sales contacts and this way you actually gather email addresses of those who are interested in reading your emails. These contacts are most likely to interact with you in future email campaigns, and thus you’re more likely to have success with your campaigns. Accurate segmentation of the mailing list is another thing that will hugely impact the outcome of your campaign. It’s what helps you create more personalized and targeted emails which also means that these are more likely to perform better. There are many ways to segment the list. The best approach is to define what you need to know about your target group to make the segmentation more effective. Instead of a name or a surname as common fields in segmentation form, perhaps a job function is a more important field to have in your form. 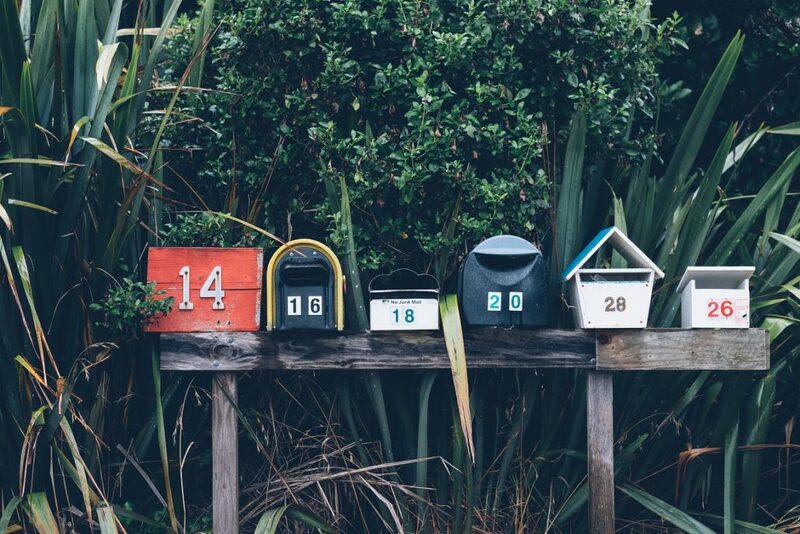 Apart from subscribing to your newsletter, your subscribers might not have much in common. They might be of different age, they might live in different locations, etc. Ultimately, they might not be in the same phase of the sales cycle. Since the state of mind of the recipient directly affects the efficiency of the message, the best option is to segment the list based on different criteria and thus customize the message you send to each group. Don’t assume that your content will appeal to everyone on your list, just because they are your subscribers. To go even a step further, besides the subscription or download form, you could try to get even more data about your subscribers. For example, if you have information about the prior purchases, this might be helpful to find out which content to offer to the subscribers to make the campaign more effective. For more information about what list segmentation is and how to start segmenting the list, take a look at this useful guide: How to Segment Email Lists for More Opens, Click-Throughs and Conversions. This leads to personalization as the next factor affecting campaign effectiveness. An effective email is personalized. It’s an email that speaks directly to the recipient. It starts with addressing the recipient by name, but it should go beyond. It should ask a question the recipient can identify with. It should have a personal anecdote or a joke that the recipient can relate to. When reading, the recipient should feel as if you’re reading his or her mind. With this approach, when you use the language that feels and sounds familiar, you are more likely to encourage feedback and clicks. For this personalized approach to reach its highest potential, you should also introduce personalization as a way to present yourself. This means that you should create personas behind the email, representatives who are relatable and approachable, rather than sending from an impersonal company email address. Elements that can help you with this part of personalization include adding photos, name, role in the company, etc. If you want to dig deeper into this topic, check out this helpful article introducing different ways to personalize an email campaign: 6 Email Personalization Techniques That Go Beyond a Name. More than third of all the emails are opened based on the subject line alone. The power of these couple of words is so immense that it can literally soar your campaign or predestine it to fail. A subject line should summarize what’s inside the email, but don’t reveal too much. It should be concise and it should be designed with the campaign goals in mind. For example, if you run a time-sensitive campaign, adding a sense of urgency would be recommended. On the other hand, if it’s a lead nurturing campaign, make sure you feel the recipient special by highlighting the exclusiveness of this email or offer. Having this in mind, you’ll need to pay attention to how you choose a subject line. You’ll also need to do a lot of A/B testing to find words or styles that perform best. The techniques above will help with refining your message and maximizing its efficiency, but ultimately the content is what matters. What you actually share with your subscribers should meet high-quality standards, it should feature the content that is encouraging, inspiring and action-oriented. Your campaign has specific goals and achieving those goals will make your campaign efficient. One of the best ways to do so is through amazing content or offer. Creating valuable content does take time but it is what will bring you success. It starts with understanding your target group, understanding what they want and need, and this helps you tailor your email marketing campaign accordingly. With content, it’s crucial to keep it simple and relevant. Be direct and share only the most essential information with your target group. Not only does this save time in which case the recipients are more likely to read through the email, but it also helps you with one concrete goal – get the readers to your website. Valuable content should be a sneak peek of what they can expect on your website, so make the readers curious about what more you can offer. All of these qualities make a CTA engaging and increase the chances of the recipients actually clicking on it. Since clicks on the CTA are usually considered conversions in an email campaign, tracking the number of clicks directly helps you calculate the conversion rate of the campaign. A higher conversion rate means that your campaign is doing great, which means you’re able to get your message across effectively. Email design has advanced so much nowadays, that to send a plain email with the text only seems so outdated, even if it’s neatly formatted. You need high-resolution images, videos, custom layouts, cool fonts or perhaps even animations. You need to carefully design an email campaign with the help of a tool with options which include customized HTML and CSS. Email marketing has surpassed the importance of content shared this way, and now presentation of that content has the same importance. No longer do people read every email they receive but instead they open an email, scan it for a few seconds and swiftly decide whether they’ll keep reading or skip to the next one. These few seconds is the time you have to attract the attention of the recipient. This brief interval is essentially what determines the success of your campaign, which is why the design has such an important role. It’s a way to grab the attention of the recipient using visual representation and highlighting crucial information with large and prominent fonts. When you start creating your next campaign, think about this time interval and what people would think about your email after a few seconds. Will it engage them? Will they be interested in learning more? While you think about this aspect of the email campaign, here’s a curated selection of top 100 email marketing campaigns created by Campaign Monitor. You’ll notice that a custom design is what they all have in common. Even if you fulfill everything from the list above, even if your offer is so good that it’s impossible to say no, you won’t achieve much success with an email campaign that isn’t mobile friendly. More than half of the email messages you send will be opened on mobile devices. This means that neglecting mobile optimization means you’ll be missing out on a huge portion of your target group. A campaign without mobile optimization simply won’t perform well. Besides the optimization of the actual email message you send, you should also think about the landing page connected with the email CTA. This page also has to be mobile friendly to engage and keep visitors coming. From enlarged fonts to image optimization, here are some basic tips for optimizing an email for mobile devices: How to Optimize Your Emails for Mobile: A Beginner’s Guide. In the end, it all comes down to measuring and evaluating success. Without this phase you can’t even tell if the campaign is effective or not, nor can you determine if there are changes you should be implementing to improve your business through this type of marketing. You’ll also need to conduct A/B testing to compare different approaches. One look at the statistics can reveal so much about your campaign. A more detailed analysis can reveal the effectiveness of each individual segment, such as how well the subject line is performing, how effective is the CTA, etc. Being able to determine what works best for your business in terms of email marketing has so many benefits. 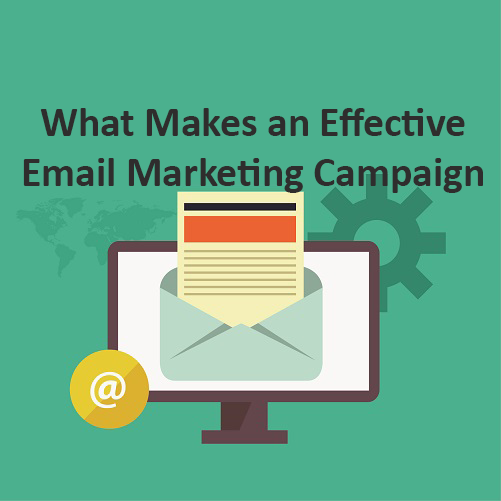 Starting from redefining your approach, optimizing your time and efforts, to ultimately, running more effective email marketing campaigns. Since each of these segments affects the performance of the campaign, a part of your efforts should be analyzing each of them and determining ways, how together they can lead to better results. An effective campaign is the one that engages, the one that encourages and helps you achieve your goals. Of course, there will be some emails that bounce, there will be those readers that abruptly decide to unsubscribe. It’s impossible to run a campaign without some negative feedback along the way. If you follow the advice in this article, in the end, you should be able to see mostly positive results. If you are interested in this topic, and would like to learn more about email marketing, we have also written this very helpful guide, which you might find interesting. It’s called How to Improve Email Deliverability.